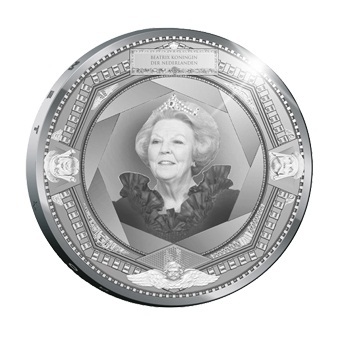 The Most Innovative coin of the year was awarded to the Royal Dutch Mint for its 5 Euro silver coin celebrating the Mint’s 100th anniversary. 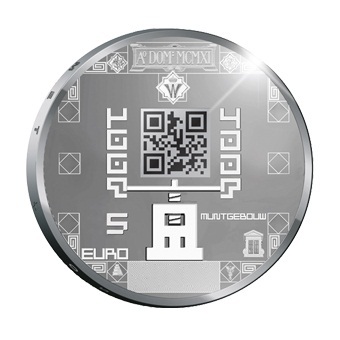 It features a QR code (short for Quick Response Code) on the reverse, which can be scanned with a smart phone for more information. (KM# 302). Klik op de link voor verdere info.